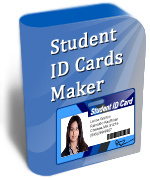 Student ID Cards Maker Software design multiple students id cards with different barcode value and text. software provides option to choose ID card design from Pre-defined Templates. 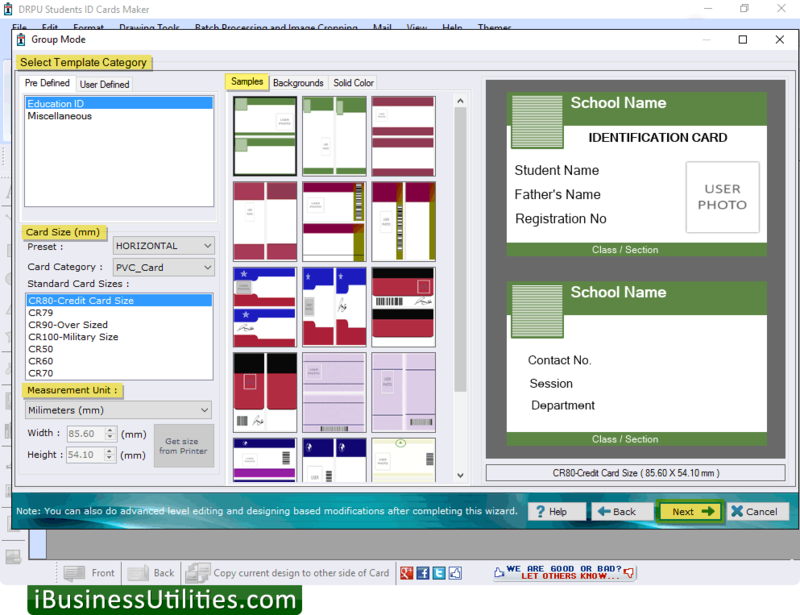 Student ID Card Maker Software is also having advanced option to design ID Cards of group of students simultaneously using Excel data. 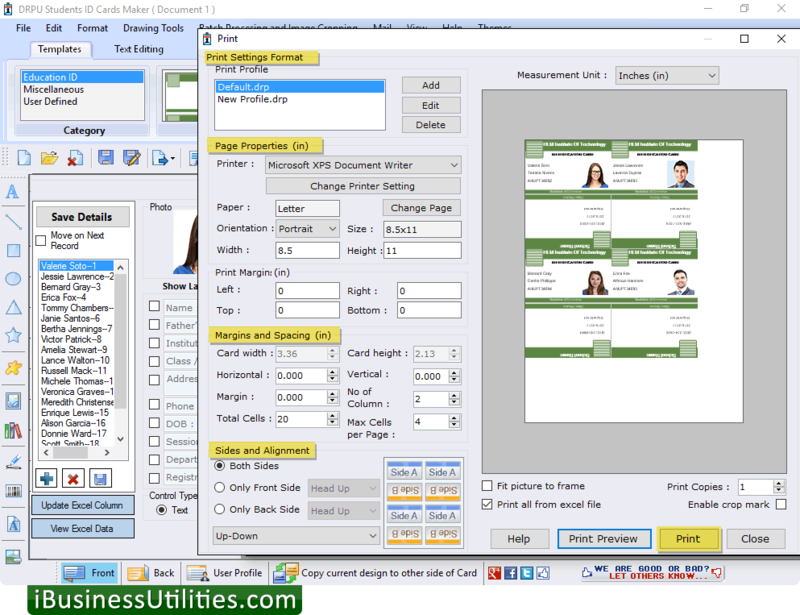 You can quickly design your ID card by choosing pre-defined templates already available in software. Software provides 'Batch Processing Series' feature to generate multiple ID cards with different barcode and text value. Software provides option to Export your designed ID Card in JPEG, PNG and other File formats. 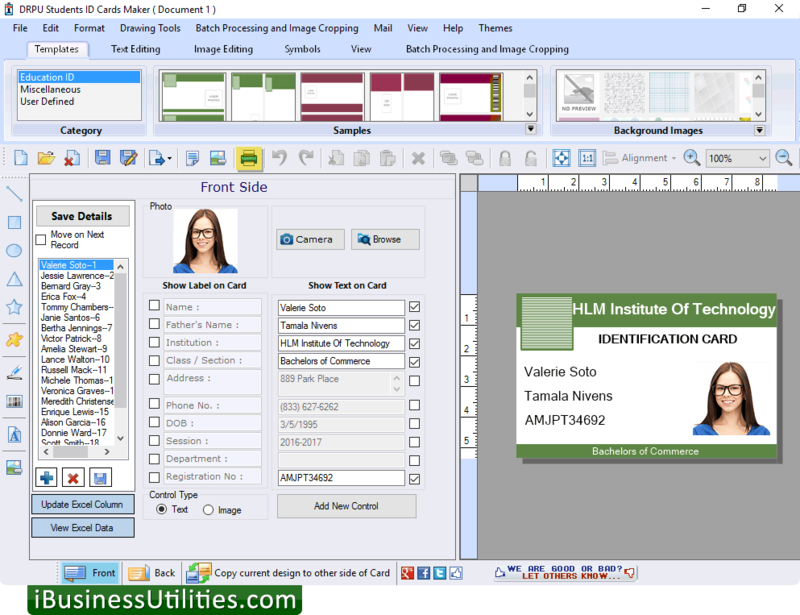 Using this software, you can design ID Cards of group of students simultaneously using Excel file. Software provides option to design your own type of ID card by choosing Pre-defined templates and using image designing tools like Text, Line, Rectangle, Ellipse, Triangle, Star, Symbols, Browse Image , Image Library, Signature, Barcode, Watermark etc. Software provides facility to send designed ID card to the specified email address via email settings option. Software provides print option to print designed ID cards with support to all major types of printer. You can also capture image of user using camera , as provided in software. 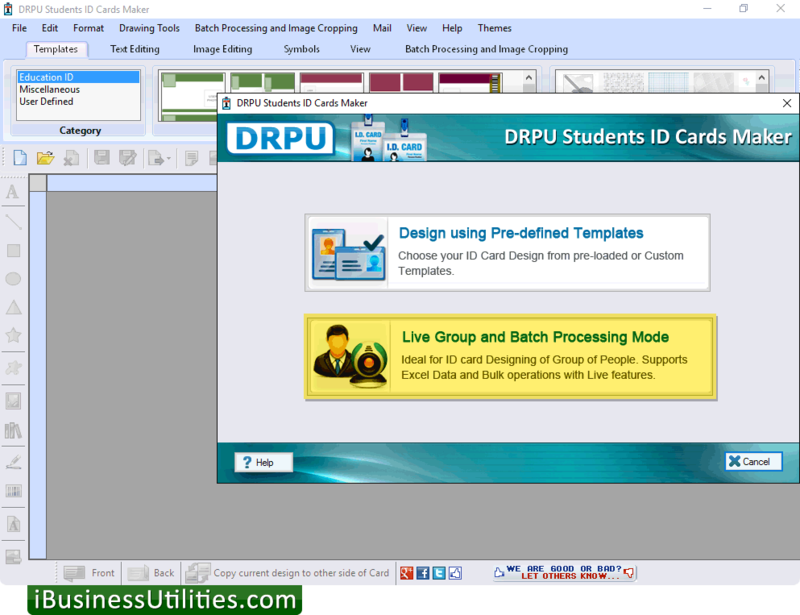 You can choose any mode either "Design Card using Pre-defined Templates" or "Live Group and Batch Processing Mode" for designing Student ID Card. Here, we have chosen "Live Group and Batch Processing" mode for demonstration purpose. Select any one option either 'Start with new project' or Select existing Project. Here, "Start with new Project" option is selected. Now, enter Project Name, Project path and browse the path of excel file by clicking on 'Import Excel' button. click on 'Next' button to continue. Choose Pre-defined Template for your ID Card and click "Next" button. In left panel, when you click on saved ID card name then you can see all the details of that particular ID card. Check boxes, next to the labels, which you want to see on ID Card.